99Acres is India’s number 1 real estate portal. 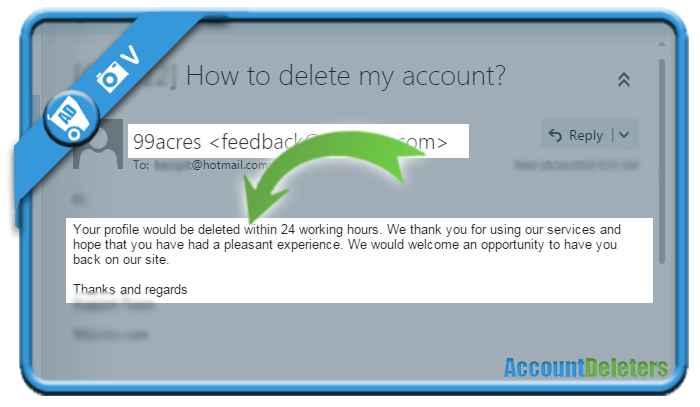 If you have an account on their website and you’re thinking about closing it, we’re here to help and facilitate that process for you. All it takes to remove your profile, is one simple email to their support team. I found this email address in the footer of their website. 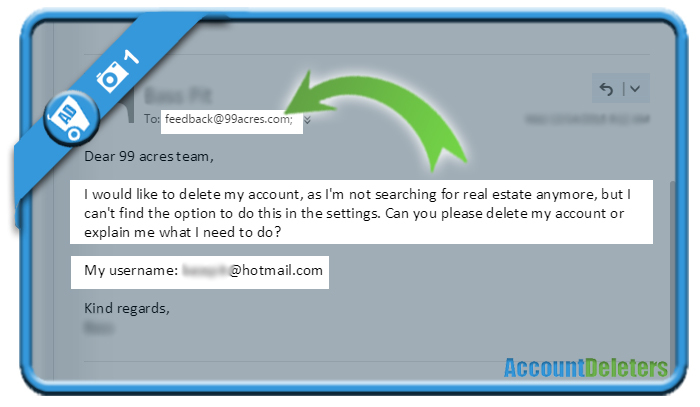 All you need to do is ask them to close your account and send them your email address. I would like to delete my account, as I’m not searching for real estate anymore. Can you please delete my account? A few hours later I received a very kind email from their support team in which they confirm that my account will be removed within 24 hours. Mission accomplished and thumbs up for the great customer experience with 99acres.